The objective of the project was to refurbish and redesign an existing office space on the sixth floor of the Cass Building. 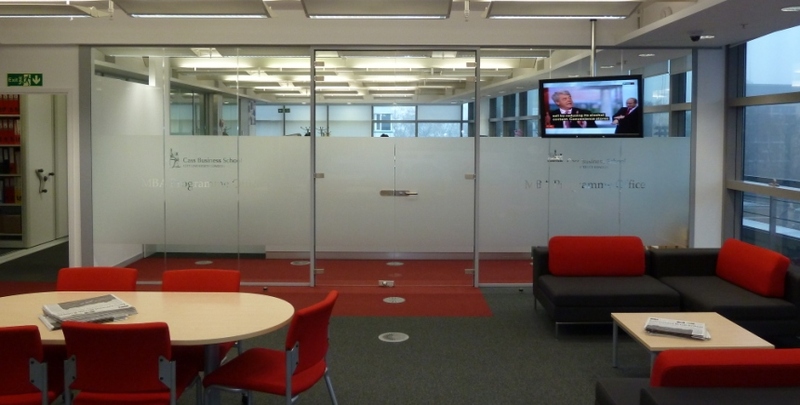 The refurbishment had to provide students with a relaxing study area conducive with a working environment. The high standard of delivery by the Ruggles and Jeffery team provided an engaging and stimulating atmosphere to enhance the academic environment. The project was well received by the client upon completion and handover. Acting as Main and Principal Contractor on the project, Ruggles and Jeffery delivered the entire refurbishment package, including electrical works, new flooring, decorating and additional maintenance. To facilitate learning, individual work stations were constructed which could enhance concentration and private study. A bespoke joinery reception desk with glazed partitions was designed and built, and delivered to a high standard.